The Delhi BJP and its leaders have also joined this campaign like their counterparts in other states across the country. 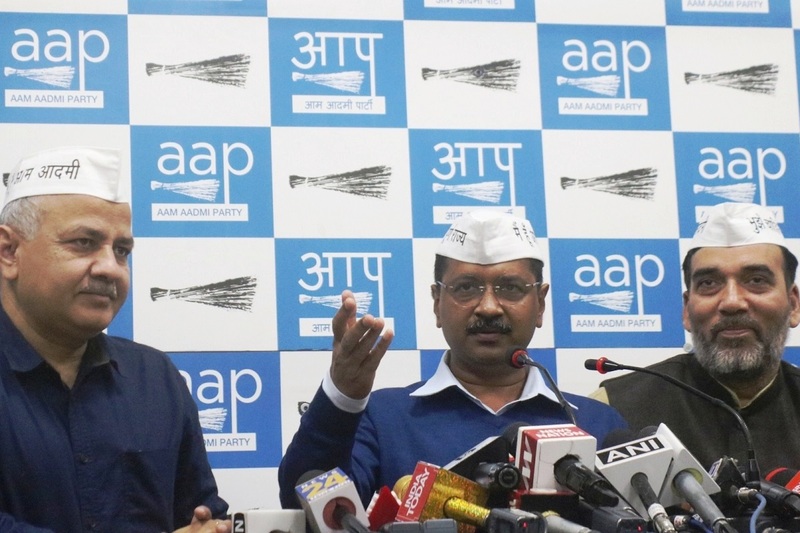 Taking a swipe at Prime Minister Narendra Modi and the BJP’s “Main Bhi Chowkidar (I too am a watchman)” campaign, AAP leader and Delhi chief minister Arvind Kejriwal on Wednesday said if people want their children to become watchmen, they should vote for PM Modi. Kejriwal also, however, said that if the people wanted good education and successful career for their children, they should vote for his party. The Delhi BJP hit back at Kejriwal, saying it would be better to become a chowkidar than being a “liar” like the AAP supremo. PM Modi wants the people of the country to become chowkidars so that they can fight against corruption and social evils, Delhi BJP chief Manoj Tiwari said. He said that chowkidars worked hard, alleging that all corrupt political parties in the country were against chowkidars as the latter were fighting against corruption. In response to Congress president Rahul Gandhi’s sustained “Chowkidar Chor Hai (watchman is a thief)” pitch against him over the Rafale jet deal “scam”, PM Modi has urged his supporters to take the “Main Bhi Chowkidar” pledge and take this campaign to the people, maintaining that he was not alone in the fight against corruption and social evils.